President Trump on Thursday denied military aircraft to House Speaker Nancy Pelosi for a foreign trip just minutes before the congressional delegation was set to depart. Below is the full text of the president’s letter. Since, you were not around the other day…………. Pelosi , …..just got kicked off the plane……..Trump stopped her at the airport, …cancelled her free ride to Afgan, Egypt…..
Pelosi……..got shut down at the airport…..Trumped again. Just in case …one wants to know more. Let’s see just how this whole issue turns out. We will know by early October of this year. My personal guess is that Trump will come out on to. Trump may come out on top but 800,000 of the citizens Trump is sworn to protect and assist may not. On today (Martin Luther King Day) I thought it worth reminding folks MLK was not a Democrat. His father was definitely a Republican. MLK stayed mostly apolitical party-wise, with a conservative bias. Most legislation for equal rights and anti-discrimination was introduced and passed by Republican Congressional action. Always the inconvenient truth. Speaker Pelosi is more of the same. It all stinks like rotten fish. Great Article ……would suggest OWL READ THIS……. That was on a NO-BID CONTRACT…..stinks of corruption. Fees and license ,,,,what a JOKE. Pelosi, the overpriced can of tuna. They should charge her for correlation. I’m all for Blowsi and her family taking a trip to Afghanistan…as long as it’s one way…and she is delivered to the Taliban. Mitch can join her. And Ahnode, too. Did you realize Nancy was taking all her grandchildren (85 family members and friends) at tax-payer’s expense on this trip that was cancelled by President Trump? She averages $14,000 on food and alcohol at tax-payer’s expense on each trip she makes across country from San Francisco to DC Talk about corruption! I had always realized the Federal Reserve was not really necessary, not Federal and not a bank, but I had kind of accepted it, because the alternative is to give money printing control to the treasury, which is controlled by politicians, who are mostly corrupt anyway. What I had not learned from history, and did not realize was how corrupt the Federal Reserve is. OK, I knew it was run for the benefit of a banking cabal, but I was naive enough to only think the penalty was interest payments and inflation. I looked upon the Federal Reserve as an enabler for excess Government spending. With the somewhat sudden change in Federal Reserve policy after Trump’s election, from an expansionary stance of quantitative easing to hard contraction by quantitative tightening, I now realize the Federal Reserve is much more devious and evil. The lesson to be learned from history is that the Federal Reserve has a political bias. For example, it encouraged the progressive behavior of FDR, but as soon as Hoover (Republican) was elected in 1928, it tightened the money supply and deliberately crashed the economy. Then a loose monetary policy as long as there is plenty of military spending regardless of party. Expanding economy, lots of loose cash while the Democrats are in power; now as soon as Trump (Republican) is elected, the Federal Reserve abruptly goes from loose to tight money, and appears to be DELIBERATELY trying to CRASH the economy. It was probable that excessive debt was going to be a problem eventually anyway, but raising interest rates and tightening money supply guarantees a much earlier economic crash. (Japan, in contrast, has postponed its crash almost indefinitely.) The Fed’s behavior smacks of political bias. Maybe Trump will stop all her free flights to Californica………The last time she had the gavel , it cost the tax payers a fortune for her EVERY WEEKEND trips…….. There were only 7 other congress-critters plus one spouse on the flight. The thing is that it’s not like N. Pelosi is the only one who does it. Congressional trips for Department of Defense purposes are budgeted for and recognized as functionally appropriate. It applies to all members of the legislature and not just to one group of people with a particular point of view. Princess Nancy was only scheduled to be on the ground for a few hours in Afghanistan. What of the other 5-6 days? Shopping, wining and dining in Europe? Four day trip. Not much time for fun. What’s the average cost of a golfing weekend for Trump at Mar-a-Lago…one million? Pelosie ought to go there instead since no one cares about playing golf in Florida at tax payer expense. Trump does not take a salary and uses his own plane. Nanci Pelosi is part of the Democratic Party, Hillary Clinton and the Big Drug Pharma Drug Cartel. The Inside Book of Secrets, The real cures buried by the Clinton Cartel. I would love to read this but I’m not going to cough up $74.31 for a used copy on Amazon. Here is a Great Winston Churchill quote. You sure about that? Over 21 trillion in debt, adding to it at a trillion a year, hundreds of trillions in unfunded liabilities..I’d say we can’t afford the darn goooooberment! Agreed. We could get by with a much smaller government, far fewer government agencies, less social programs, less wasted initiatives and lobbyist agendas, and less government workers sucking on the teat of the Nanny State’s payroll. Time to trim the fat…. Never going to get smaller govt………….UNTIL TERM LIMITS>>>>>>>>and Pelosi is a career politician……Her Daddy was Mayor of Baltimore…….and I think a crook….JMO of course. Agreed on the term limits. It would be great if politicians had 4-6 years to come in, serve, get something of value accomplished, and then pass the baton. When public servants turn into lifetime crony politicians, they don’t take the tough stance for fear of re-election. The reality is that with $22 Trillion in debt and growing, and paired with the tax cuts, then people with a brain have to come to the realization that major cuts are needed, and the government is s swollen and bloated hog at this point, so trimming the fat is part of the solution. You do realize that after a month on Furlough firing of Government employees becomes easier. Good………fire um all……..including the CONGRESS……..or JUST JAIL UM….. Problem with the $21 Trillion……..Nobody cares……. US Debt Clock at $21,951,361,000 presently. Do not forget the $21 trillion……missing at Pentagon ……..
Sure – There are always off-book or black-book operations to fund with that “missing” $21 Trillion….. Oops! where did that go? The real elephant in the room is all the unfunded liabilities for the Nanny State that are still coming down the pike. How will we pay for them? Well, it isn’t going to be pretty. Will not make any difference, …..the sheeple can not do a thing about it…….. Yes it’s beyond the sheeple’s control, so people need the serenity to accept the things they cannot change, the courage to change the things they can, and the wisdom to know the difference…. That’s more than 40% of the countries IN THE ENTIRE WORLD! F’ing insane! It’s no wonder the McKinney’s of this country are so affluent…and we peons get to pay for it! This country is a cesspool of corruption! Well-stated Ebolan. That’s been the case for a long time, and is nothing new. It is also true about most countries and hierarchies throughout history. I’m sure the average person on the streets of ancient Summeria, Egypt, China, Mongolia, Turkey, Greece, or Rome felt the same way about their elite. Somehow we get by without ever learning, somehow no matter what the world keeps turning…..
Perhaps Trump’s new initiative for missile defenses is really needed. I believe that MIC spending has been excessive, is excessive and probably will be excessive. BUT putting US presence at 40% is an outright deception. Yes, the U’S’, I believe, has too many permanent overseas bases. I’m not sure, however, decreasing the number of bases guarantees costs reduction in every instance of base closure. e.g. Some bases are refueling and re-supply bases, which decrease distance and thus cost of re-supply and repair. e.g. Diego Garcia. Or bases in the U.K. used for safe location for storage of materiel and also liked by troops for recreation….they speak English and the natives are friendly. Be careful with posting cartoons on here as certain Birds with their head in Snow have missed the point entirely that some of the best social and political commentary comes from satirical cartoons. He may feel the need to “call someone out on it” as apparently he was ordained to do so from on high…..
Don’t tell me you bought into that crap Irish. Judge Pirrp is a sound piece for Rupert Murdoch period. I might have to change the Irish and the Moon chapter if you keep this up. The only thing more messed than the American Democracy is what you have going on across the pond . Just to be technically correct the side of the moon away from earth still gets sunlight. The Chinese did not go to the “dark” side of the moon. Ageed CFS, but the “dark side of the moon” is commonly how it is referred, and what the author of the article chose to use in their title and in the text. This wall fiasco shows you how little President Trump really cared about the people that voted for him. President Trump had both houses and he let the opportunity slip by. Did he really think the Dems were going to play ball after the tongue lashing the President administered. President Trump is showing us how little he really understood about the Art of the Deal . I don’t like any of the Politicians and I know they all are still under the spell which was cast with the 9/11 event. Until they free themselves from the spell that was cast on 9/11, they will remain enslaved to it. 3Geese-The Wizzard Slayer. Here is a must listen to interview. The lying scum mainstream media trying to kill a huge story. But Hunter is exposing this. I could never understand why Mr. Big Al Korelin has never even mentioned this, let alone interviewed anyone about it. Thanks for the info, Jerry. Yup, the Bezos Empire. And getting bigger. Hey, Jerry, what devices do you use to access this blog? Have you ever tried your flip phone? I’ve accessed with a bunch of devices but a plain old PC is best for posting…JMO. When the computer is reading the dialog….does it …say ,” dot, dot, dot, dot”,……………. It doesn’t read out the .s but it pauses. I get a kick out of hearing all the typos, especially mine. Where the heck did OWL go? People are going to be like WTF just happened. You can see how upset Mr. Hunter was,and for good reason. I got caught with my pants down in 2008, I guess that’s part of the reason why I am so passionate about sounding the alarm. Notice Mr Skidmore saying he’s doing it for his Children. I can relate 100%. Matthew, did you read on Breitbart about the home in Houston that was broken into early Sat. morning by 4 robbers with rifles, and the homeowner shot all 4 with his pistol, killing 3 and putting one in the hospital? That was not me but I do sleep next to my Ruger SP101 and a 12 ga. If 4 men broke into your home would you use a shotgun or pistol? Stuff that in a cylinder or improved cylinder gun and you just might drop those four guys with two shots. Thanks, Matthew. Right now I have #4 buckshot in my shotguns, but I’ll check out your suggestion. If you’re going to use buck, #4 is the best, in my opinion. A 1.5 ounce load contains about 30 pellets of #4 buck (75 for BB). Seems like I read the marines used #4 buck in the trenches at night. I think it spreads out about 2 ft at a distance of 20 ft. But inside a house I think bird shot would work well enough and not go through the walls. Yes, there’s the safety issue as well as limiting damage to your house, but there also seems to be an increased shock to the system when hit by multiple pellets. 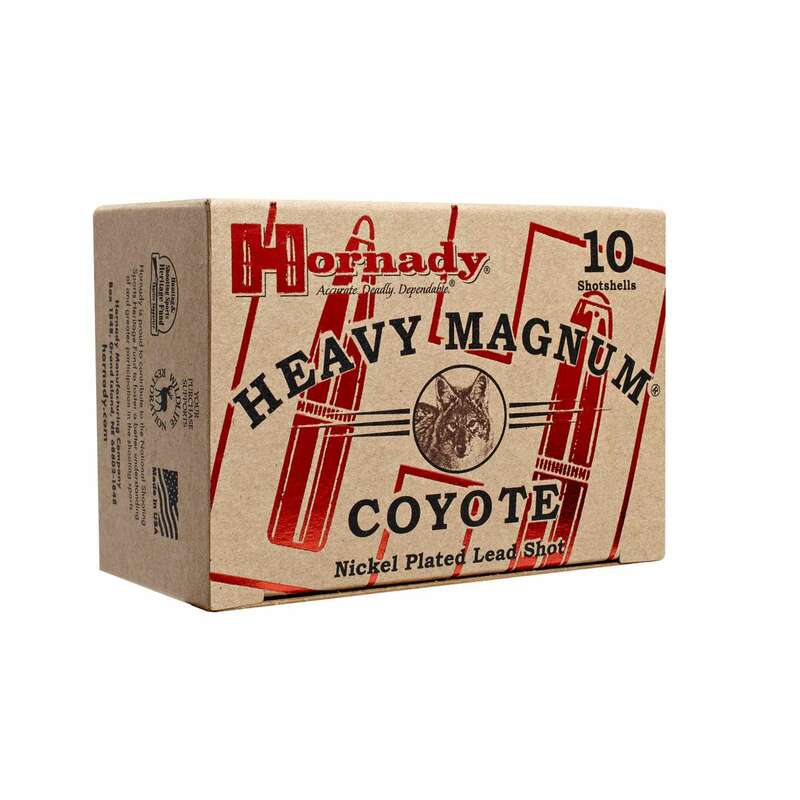 Magnum BB loads are very far from the typical low-brass, #6 thru #9 bird shot. I did a lot of coyote hunting many years ago using #4 buck and BB (as well as rifles) and nothing flattened them as quickly, cleanly and consistently as BB despite BB doing the least apparent damage — on a per projectile basis and overall. After witnessing this over and over again, my theory has been there’s something important happening due to the extra hits even though they are much smaller hits. When you see them drop without a single twitch every time and out to 50 yards (something high powered rifles rarely accomplish despite the damage they do), it gets your attention. My favorite load by far was Winchester’s Double X 2oz extra long range copper plated BB but it was discontinued years ago. Very interesting info. I wonder how that Magnum BB ammo would work on a grizzly or a cape buffalo? Those are massive big-boned critters with thick hides. The buff would likely kill anyone who tries to stop a charge with any 12 gauge load but you’d have good odds on a grizzly at point-blank range. I’ve tested 12ga slugs and they are very soft. The basic 1oz ones won’t make it two inches into cottonwood bark. The thing to do for dangerous game protection with a shotgun is load your own with hard-cast heat treated solids with a profile similar to the ones used in big pistols calibers. I don’t have to worry about cape buffalo as I’ll never go to Africa. Not likely to encounter a grizzly either unless I go to Glacier Park, and guns are not allowed in national parks. I am more concerned with bad human beings. BARR !!!! !…….Good guy or Bad guy ? funny,….both wives go to bible study….mueller and barr wives….what bible do they study, the house of satan…..
Frank G…….takes position in Sandstone……10 million oz ……..JR>…….. Uranium One to Sanding your stones………..Going to be Huge………. Quick, might be years………to some……..
I’m not familiar with Sandstone, but do you mean the activity going on with Sandfire Resources where they may make a run at Mod Resources. Was Franky G involved with their capital raise possibly? Is that the deal you’re asking about? If so, I like the current undervaluation of Mod Resources, but Sandfire has been an optionality play and a downer for a long time now. I don’t believe Mod will accept their offer, but they’re both halted at present. Sandfire tried to buy Adriatic last year, but they didn’t want Sandfire as the new mother ship either. A pay stub will get you a car loan. JohnK – your post above “A pay stub will get you a car loan,” was a garbage post with 0 insights. >> When Big Al kicked you off this site for most of last year for bad behavior, making personal attacks, putting words into people’s mouths, and your repetitive conspiracy theory posts, it was a cleaner and better blog. Now that you’re back the lunacy has returned, along with your personal attacks. Give it a rest JohnK you or your new moniker as snowbird, will be bu-bye as well. I’ll discussing mining stocks on the KER or at ceo.ca if I please as that is the focus of both sites….. not your truther conspiracies or your hatred towards others. Get a clue…. The pay stub will get you a car loan is truth. Something you seem to have a hard time with. For someone who condemned those of us who liked Al’s Political Blog you sure are a hypocrite. JohnK/snowbird – I have no issues with truth, but find your opinions just that, and nonsensical at best. No, I don’t believe the prior political ranting on the economic threads were helpful or truthful. When company sponsors your 911, or JFK, or Moon Landing posts are not a contribution, and simply clutter up the Korelin ECONOMICS Report. In addition, I find the one-sided approach to political discourse polarizing to the overall audience, but that clearly hasn’t stopped people such as yourself from posting rubbish on a daily basis. That’s my opinion and I’m just as entitled to it as you are to your judgement that you constantly cast on other contributors here. Please temper you hatred and rage towards others JohnK. Just remember who started the whining about the way people posted and where they should post. The truth is a beotch. Will do. In looking above the source of the whining sand outrage came from you about a tongue in cheek post on ladders. You seem to have a hard time discerning between the delusional opinions you hold and real truth. Good luck with that. I made my living on a ladder. Find someone else to insult. Find someone else to troll and dish out your faux outrage. 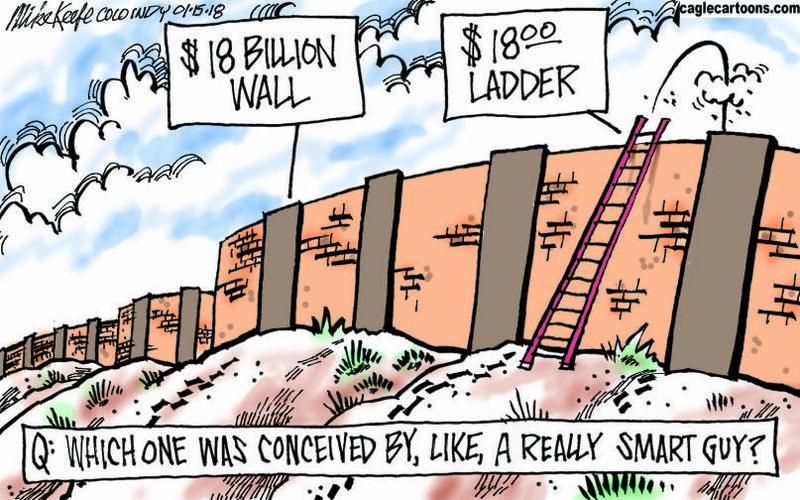 Seriously JohnK, Peace be with you and your ladder…. I don’t know if you have any children. I do. We are discussing Political issues that concern their futures and all you want to do is tell jokes. There is another blog Shad. JohnK – Whether I have any children is none of your business, but I do feel sorry for yours if this is how you communicate with them. News flash: Your posts are not changing anyone’s children’s futures on this blog, and it also isn’t your blog to determine who gets to post. The majority of my posts day and day out have actual value and substance and are in the spirit of sharing good information with other contributors here at the KER. In contrast, you go after various posters here repetitively, and feel you were somehow ordained to “call them out” on whatever bee you have in your bonnet that day. The fact that you couldn’t handle one tongue-in-cheek comment on ladder injuries & deaths; that was making an over-arching point at the media’s tendency to hype of statistics as political club to beat others into submission with is on you. Look at your contribution to this thread. You always attack me because I always speak what is the truth as I see it. Nothing new here Shad. You can’t stand that I profess my faith and you would like nothing better for me to be gone. Did you make one comment about the wall?Did you add any links? Of course not, you attacked me as usual. JohnK / snowbird – The only attacks came from you, as usual, just like your last post. I provided links on Nikola Tesla, after you decided to use this blog to promote your imaginary book for your own self interest. Since Chapter 3 in the book you continually keep posting about here was on “Nicholas Tesla”. You then attacked me for daring to juxtapose St. Nicholas in a post with Nikola Tesla, claiming he wasn’t real. Next, I posted links showing that St. Nicholas was in fact a real Christian Saint from Greece, and was instrumental along with others at Council of Nicea in 325 AD, which determined which books were cut and which were included in the Bible, so that you could cherry pick which scripture you want to sling at me and others on here. For you to call for staying on topic when the lion’s share of most of your history on the KER is normally straying from topic, is quite laughable and rich even coming form you. Gimme a break dude, and let it go….. Sorry I didn’t mean to post that here. Ah – I see where you are talking about Sandspring Resource not Sandfire resources. Further down I addressed both companies but Sanspring is the optionality play on 10 million ounces of Gold waiting for higher metals prices, and Sandfire is the Copper/Gold producer on the hunt for a merger. OOTB – Was that Sandfire Resources deal the one you were talking about with Franky G? If not post me a note on the Sandstone deal you are referencing, as you have me curious. OOTB – Gotcha – I was thinking you meant Sandspring Resources. I wrote you back a few thoughts down below. Here’s a link from Sandfire Resources about the recent speculation on the takeover of MOD resources. “MOD Resources has requested a trading halt pending an announcement “regarding a capital raising” and to respond to the Sandfire Resources speculation. Yes, it definitely looks the the Sandspring pump is about to start. 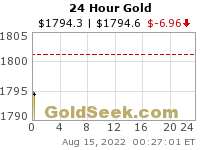 Wheaton precious Metals is circling the pool streaming all the way….. and FMT the promotion company is about to start pounding the table to earn their pound of flesh. >> So, prepare for the Pump! Ron Paul says, “Milley is not soft spoken…” Well, that’s an understatement. Boys, how’s your op tempo??? Just continuation of the MIC…..with the help of congress weasels…….. Unfortunately short of Divine intervention or Nuclear Conflagration this is what we have to look forward to. With out a boogey man and a war this guy has no job. You will never hear men like him talk about suicide deaths of veterans from their drummed up wars. He’s nothing but a loud mouthed bully in a government costume. We are in Grave times. Even if they can reach an agreement on the wall, both President Trump and Speaker Pelosi have cast dispersions that will prove to be hard to reconcile. Our good friends the Israelies…you boys ever heard of this guy? What the oligarchs have decreed. Please note, this is not the exact tape, …..I have not reviewed this tape,….but, the other one which I saw…..mentioned FRANK G. as taking a 35% stake in the company. OOTB – Yeah, Sandspring is the one I thought you may have been discussing with Franky G. I posted a few links up above about their potential takeover offer with Mod Resources. Overall, Sandspring has been a terrible performer for the last few years, and that is because even though they have a larger resource (around 10 million ounces) they need much higher metals prices to play ball, so they are an “optionality” play. Optionality plays will do good once the metals start trekking higher, but will be stagnant to down if metals prices stay in the range they’ve been in the last 2 years. However, after a failed attempt by Sandspring to takeover Adriatic Metals last year, they are now turning their sites on Mod Resources Copper, base metals, & precious metals, but it looks like Mod is unsure about accepting the offer. Both companies issued halts for news last week, so we’ll see how the situation unfolds. Now, at this depressed pricing, it’s possible both of the those companies have some real room to climb if a new impulse leg higher gets underway in the metals prices, but that could be said of most of the companies in the sector. Neither would be my favorite picks, and both have been poor vehicles for buy and hold investors to have camped out in the last few years. Still, having Mr. G getting involved means there must be some large plans behind the scenes and that is worth sitting up and paying attention to. I will say I liked the new BladeRunner 2 that Franky G produced and it was a solid film. We discussed it on the other political blog when we got into energy return on different power methods and then shifted to food energy returned, since in the future 2049 in that movie, humanity had destroyed the surface of the planet and was staying a live on insect proteins. It’s a grim distopian setting but did have a few thought provoking scenes. Correction: I was talking about (SFR.AX) (TAU) Sandfire Resources not (SSP) Sandspring Resources regarding the takeover of Mod Resources and Adriatic Metals. Sandspring does have a 10 million ounce resources and has been an optionality play, and large development project waiting for higher metals prices. Sandfire is a Copper / Gold producer that needs to replace reserves, and hence why they were making a move on Adriatic last year that didn’t pan out, and now they are going after MOD Resources. Sorry for mixing the two up but there are a lot of mining companies out there and it was due to the “Sand” in front. Bottom line, both Sandspring as a developer, and Sandfire as a base metals / gold producer on the hunt have interesting developments going on at present, and I’ll be watching both a little closer moving forward. Sandspring is about to get the FMT Pump, so watch for arm-waving and table pounding to begin shortly. You think the feral gooberment debt is 22 trillion??? And of course, the feral, state and local unfunded liabilities are much worse. This should make other nations all warm and fuzzy about holding US Dollars because, now that we cut taxes, and didn’t cut spending, the debt growth will only spike higher faster on the hockey-stick upswing. The debt will never get paid at this point so either they need to inflate to infinity and beyond, default, or have a debt jubilee. Regardless of which track they take, it’s gonna be a really big show…. What’s going to blow up first? I keep thinking the pensions. Even with one of the biggest bull markets in history the unfunded liability of the gooberment pensions has grown enormously and the rate of that growth is increasing. A recession and bear market would blow the state and local gooberment pensions completely out of the water. Govt Pensions are not going to blow up……….they have a real estate tax base…..look at Chicago for an example. That is why I keep saying , real estate is fixed in location, and is a target for the govt. I don’t know…lot’s of people leaving Chicago and all of Illnoise for that matter. But it must not be too bad yet because Mishshadlock is still there although I have no idea why. It’s not like his job requires he live there. I am still thinking of starting my coin shop……..Owl Coinland….. Judicial watch on Pelosi extravagance and corruption. Media behavior is not only biased, but becoming unacceptable. Ce n’est pas la meme chose. and the really stupid folks in media are still talking “Global Warming”. How do you reach a compromise if one side refuses to negotiate? I don’t quite follow what your saying. Please explain. But the Catholic MAGA kid did just stand their, mouth shut, just smiling as the native American got in his face and banged a drum. The MAGA did NOT get in the Native American’s face at all. Watch the full movies from both recorded directions. Fake news and media lies, as usual. After Fox news claws back RBG’s death. Ruth Bader Ginsburg (born on March 15th, 1933) was a Civil-Servant who was best known for being a (left leaning) judge on the American Supreme Court. Ruth died on Tuesday January 22, 2019 and her death was possibly due to old age and a recent fall in which she had broken three ribs. She was 85. I have not found independent confirmation, so could be hoax. Just remember who put you and others in check with your Q Tard posts. I’ll stick by my comment. Q Tard or Trump tard. The trouble is always in not knowing what you don’t know. Right now there is a lot of smoke, but not much fire. We do know, for sure, the Main Street Media is largely not reporting the truth; indeed hiding and obfuscating real truth. For example the Catholic MAGA hat-wearing kid. If you watch all the available video, or even just some of the extended video, it is clear the MAGA kid just stood there non-provocatively, while the native american came up to him and got in his face. It is absolutely clear the native american caused the incident. And it is equally clear the MSM lied about it. One always has to go to original coverage od speeches, film of events, etc. and not just believe headlines, or any coverage without substantial verifiable evidence. Thank goodness you are here and yes, we’ll give you credit for posting it first. The real story is before the Native American showed up. Yes, reporters everywhere are lining up for that breaking story. Ignorance of early American native culture is extreme, isn’t it. Such a great civilization including cannibalism; the real history substantially romanticized by movies. You mean like people that debate you with references to adult cartoons that hide behind their computers.Aka Little man. If you are accusing me of hiding behind computer, you are correct. I have already lost over half a million US dollars by having a break-in , burglary and intentional destruction by arson of one of my homes. Since the culprit(s) were never caught, the motive is unknown. I am not ever going to casually attach my identity to criticism of religion or government and open myself up to a repeat attack. +1 CFS. Only an idiot would feel the need to publically disclose their info on a public board due to the taunting from an ironically anonymous poster that is also hiding behind their computer. Snowbirds smear was aimed at me because he fails to see that he is still acting just like Cartman in the Southpark episode that deals with 911 truthers that believe they have some secret insight to figure out the hidden truth, couples with a messiah complex where they feel they can then save the world with their brilliant insights. A cartoon was plenty appropriate to deal with the topic. “You will know them by their fruits” and this Snowbird is Fruit-of-the-Loom. I use to drive race cars. Here’s an analogy. It doesn’t matter how fast your going as long as your in front of everybody else. Sure you did….. great imagination…. Trump Tard or Q Tard. ? Peter Who on the lying scum left and lying scum mainstream media…that whole high school / Native American flap. Muslims or Jews. Take your pick. Sounds like you picked racist. Jerry your zero hedge post yesterday was a good one. Michael Lewis’s book “Flash Boys” was the reason I stopped day trading. One company laid a fibre optic cable from Chicago to Wall Street to front run. Something like 400 days without a loss. Snowbird, …..glad you liked it……..I thought it was telling…..just shows most of the bull going on in the market, is pure junk. Nobody is going to win , except the house. Have you read any of the articles from silver stealers .net….some great info, …helping tie some of the missing pieces together, and connecting the political hacks and the big corporations together….The Big American Scam………. To be honest I haven’t. I will start now though. 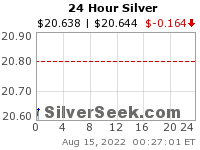 It will put silver investing in a new light……..
You will not need any charts and graphs to see what is going on…….. Here ya go……if you can not find it……. Dont ya luv being a part of the great satan? Geez, lets invade Venezuela now. Oil? we can get organs from their children. Canada accepted 50 white helmets a while back. For the past 10 years ‘truthers’ have claimed 9/11 was part of a bigger conspiracy – but does the evidence stack up? > STUPID THEORY 2: The twin towers did not collapse. They were demolished. Pretend the towers were a conspiracy theory. Then pretend they were subjected to the force of logic. Here’s your result. 11/09/2001. > STUPID THEORY 3: World Trade Center 7 did not collapse. It was demolished. > STUPID THEORY 4: FLIGHT 93 was shot down in Pennsylvania and the people who were supposedly on it were murdered or relocated. And they’re fake trees and that’s a fake wall and Gilligan is still stuck on Gilligan’s Island. > STUPID THEORY 5: There was no “stand down” order, which proves the US government dunnit. > STUPID THEORY 6: They weren’t planes, they were missiles. Just posting articles. I don’t believe the official story, but may 9/11 Truthers just take things to ridiculous levels and keep beating a dead horse on certain aspects that are easily debunked. It’s one thing to be curious, and total insanity for John MooseKnuckle to get on here ever freakin’ day posting endless 9/11 videos. It’s obsessive, not presenting new information, and if there isn’t new information, then bat-crap crazy to post on it every day. Ex, How does your Rebuttal #3 work, when video does not show taller buildings falling on Tower 7? When there does not appear to be any significant fire in building 7. And while you’re being simple, perhaps you can explain why the BBC announced the collapse of building 7 20 minutes BEFORE it collapsed. CFS – It isn’t my rebuttal, it’s an article that someone else wrote, so I wasn’t being simple and they weren’t my words. There is a difference. I don’t agree with every point in the rebuttal articles, but I also don’t buy all the lunatic fringe and the 100’s of theories put forth. The whole point is not to go over the deep end as it puts people off, and doesn’t wake up the sheeple. It’s like discussing alien abductions. There are tons of accounts of eye witnesses, photos (some legit and mostly forged), people with probes left in them & people that faked probes etc… There is definitely too much smoke not to be a fire with with certain topics, but most of the time people go nutty and just push away any of the folks they hoped to “wake up” and instead huddle in echo-chambers with other fellow alien enthusiasts having “we’re right” parties. I see little value in that. * As for Building 7 – Personally I do think it’s a stretch that it fell due to fire from close proximity of the twin towers collapsing, there were many key government records offices in it that went bye-bye, and it is one of the obvious areas where investigators should and have focused. There are 100’s of 9/11 Truther videos, books, and articles that get into building 7. It is unlikely ranting about these things on the KER is going to bring any new insights and just makes it a cluster. I decided to cluster the page with debunking articles just to see the reaction, and already people are losing it in the echo-chamber. RELAX….. Nobody is going to solve the mysteries tonight anyway….. If you want building 7, you can spend the rest of the night dissecting it, but it’s a waste of energy. Just watch one these hundreds of pages of videos until you pass out on the negativity….. Or try doing something constructive with your time. The least plausible conspiracy theory is the official one but most people are more emotional than logical and apparently have no interest in physics. I’d agree with that. The least likely conspiracy theory is the “official” explanation, but conversely coming up with 100’s of other theories upon theories has only fragmented whatever “truth” there was to be found into many disparate directions making it a head-shaker and unapproachable by the average citizen. The sheeple bought the emotional story, and most of the emphasis since was not in trying to figure out who perpetrated the atrocity (internal/external players) but rather the stories of first responders of the brave people of Flight 93 for TV docu-dramas and movies. They wouldn’t have sold many tickets to the movie about our government shooting down Flight 93, so they put a heroic spin on the tragedy to help emotional people move on. Regardless, at this point, to rehash it here daily is ridiculous, especially if there is not new information, and the truth for the truthers is we’ll never know the whole truth. There are more constructive ways to invest one’s time moving forward, as the perps will never be brought to justice, and as you said, the average Joe has no interest in physics or any of the science, in controlled demolition, in who may have had a motive, or in ever figuring out what really happened. Pentagon specific area hit……destroys records of fraud and mis-spending of TRILLIONS by MIC. It contained SEC Commission offices on Fraud, Front-Running and other Stock Market investigations……..WHICH HAD NO OFF-SITE BACK-UP FILES. It stinks to high heaven of a cover-up of illegalities. CFS – I posted my response about building 7 up above and see all this as huge waste of time discussing any further. I posted a detailed account that was deleted below about my personal on 9/11. and even my personal experience driving by the pentagon days later. I’ve always been in the camp it was a missile strike, but who cares? These posts are just people here preaching to the choir, and will never convince the sheeple of anything. For the record, my Aunt, Uncle, and 2 cousins worked at the Pentagon during that time period, and I was afraid for their lives. They would never discuss the details as a mattern of national security, but they confirmed there is no way a plane could attack the Pentagon with their ground to air defenses, unless it was purposely let through. My good friend was in the subway and emerged right before the twin towers collapsed and was one of the people you saw running from the cloud of debris in all those news clips. His brother was a reporter and running a small news zine in Washington DC and was sitting on a bench near the Pentagon when he described a missile strike on it (not a plane). There is no way a plane could have made it through that many sections of of the pentagon anyway and there would have been engines and a tail and tons of debris left on the outside (which there wasn’t). I drove by it personally days later because all the planes were grounded and never saw any plane wreckage. The first phone call I received that morning from a friend and FAA inspector and decorated military man, that was shocked we’d shot down our own civilian plane (Flight 93). The second call I got was from my mother, because my father was in the sky on the east coast during 9/11 and she was wailing and asking us to pray for his life. His plane was grounded, and he did an interview with a local news station that the pilot and crew were confused as to why they were forced to land and didn’t know what was going on that morning. I worked with a company called Kroll (later acquired by Marsh) that was involved with getting the gold bullion out of the subway as it had crashed down through after the towers collapsed. Kroll later went on to do private security detail in Iraq to support the faux war we launched in Iraq immediately afterwards. That morning Trump, who my pal was touring with as MC of their real estate investing workshops got on TV that day decrying there was no way planes took down those buildings. A day later, his Zionist cronies (that benefited from the insurance payoffs from the damage) “corrected” his view so that a day later he was talking about the tragedy of the planes collapsing the buildings. Those sheeple that believe Trump won by accident, is controlled by the Russians, or that he isn’t controlled by the Zionist power brokers have had the wool pulled over their eyes. I’m not getting into any more of this 9/11 talk today. They deleted much more detailed accounts of that morning that I spent a good deal of time on, and I’m done with this topic for today. There is also the melting point of blades of jet engine turbines and lack of remnants of engines at the Pentagon, supposedly melting in a fire that was almost a 1000 degrees too low (no possible air bellows effect or funnel due to tall building), and the ability of a mostly aluminum airframe to take out steel beams.